Project Hosting on Google Code provides a free collaborative development environment for open source projects. Test Dept is an ease-of-use framework for unit testing. It is suitable for pure C-code and consists of assertions macros and makefile snippets for automated tests. The framework provides runtime stubbing of functions. Test suites are standalone binaries following a certain specification and can thus be used by arbitrary test-runners. 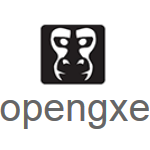 The OpenGXE produces complete applications from declarative UML domain models. The OpenGXE creates complete application simulations with little or no programming. 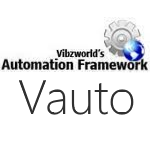 It directly executes UML, allowing declarative domain models to drive complete functionality. Focus on the business rules and features of the system, without bogging down in implementation details or complicated, platform-specific frameworks. The flash-selenium project aims to extend the Selenium RC clients for adding Flash communication capabilities. Due to the high number of requests for making FlashSelenium directly test the UI components of a Flex application, we got involved in a new open source project: flex-ui-selenium. The new component, FlexUISelenium, is used with Selenium RC for testing Flex UI interactions. The Flash/Selenium RC client extension is available for the following Selenium RC client drivers: Java, .Net, Ruby and Phyton. Concordion brings your software delivery team together around living documentation. Concordion is an open source framework for Java that lets you turn a plain English description of a requirement into an automated test. Concordion is the most flexible tool for creating high-quality living documentation. It is often used with Specification by Example (SbE) and Behavior Driven Development (BDD) processes. ASTUce stand for "ActionScript Test Unit compact edition". ASTUce is a regression testing framework inspired by the xUnit architecture. This framework is intended for developers who wish to implement unit tests in ActionScript3. Ideally the framework will be usable in any other ES4 implementation. ASTUce is an ActionScript Test Unit compact edition. It is a regression testing framework inspired by the xUnit architecture. This framework is intended for developers who wish to implement unit tests in ECMAScript (ECMA-262) and ActionScript 3. ASTUce is also a cross-platform (OS X / Linux / Windows) client that can run unit tests on the command-line. UISpec is a Behavior Driven Development framework for the iPhone that provides a full automated testing solution that drives the actual iPhone UI. It is modeled after the very popular RSpec for Ruby. To make finding specific views in the iPhone UI easy, UISpec includes a very powerful view traversal DSL called UIQuery. Not only can you easily traverse the view heirarchy, you can also interact with the views you find. The Tellurium Automated Testing Framework (Tellurium) is an automated testing framework for web applications. The UI module makes it possible to build UI elements' locators at run time. The framework does Object to Locator Mapping (OLM) automatically at run time so that you can define UI objects simply by their attributes. The Tellurium framework defines a new Domain Specific Language (DSL) for web testing. Tellurium grew up from the Selenium framework, but with a different testing concept. Starting from Tellurium 0.7.0, Tellurium added Tellurium Engine to replace the Selenium Core to better support Tellurium. Reflex Unit is a testing framework for Flex 2 and Flex 3 applications. It is designed to be a drop-in replacement for Flex Unit. Testing framework uses reflection, eliminating the need to manually declare each test method. Using Reflex Unit, test methods may be defined within the classes they are testing. Tests may optionally implement an ITestCase interface.